The arrival of the rhubarb season means that the good weather has arrived. If you grow it yourself in your garden, you know that it grows easily and in abundance. But be careful: we only eat the stems because the leaves are poisonous. To compensate for its high acidity, it is usually prepared with a large amount of sugar. Here are our top 5 recipes with rhubarb! Even though rhubarb is generally considered a fruit, it is actually a vegetable. 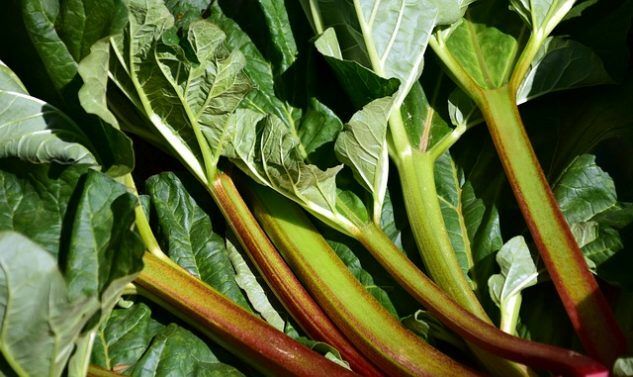 Rhubarb is a good source of potassium, and supplies vitamins A, C, and calcium. This compote is eaten cold or at room temperature, depending on your preference. Rhubarb is not only good for desserts! 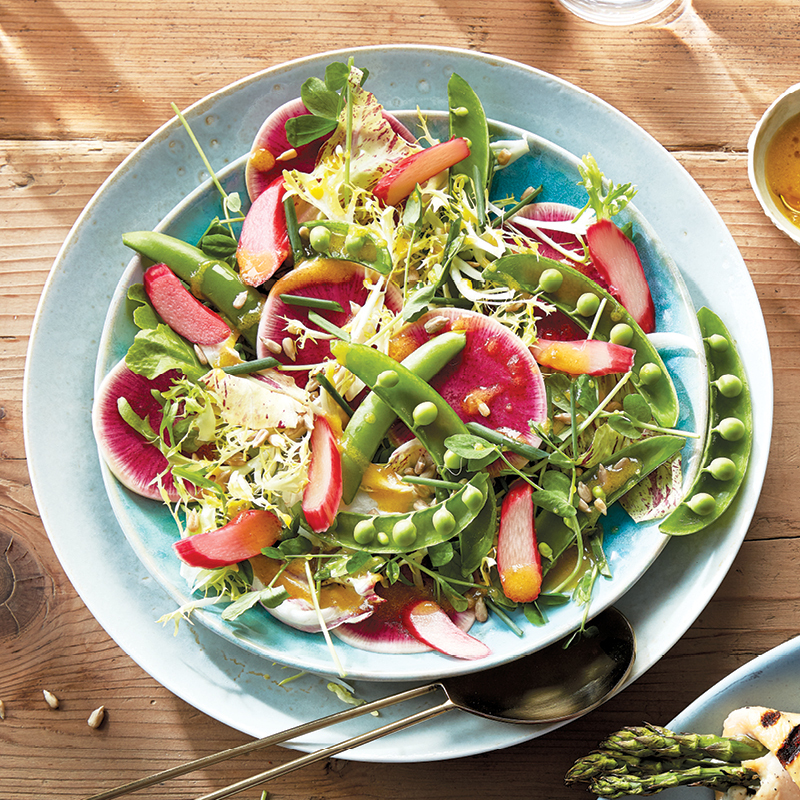 This colorful summer salad will help you enjoy this tasty vegetable in a very different way. The sweetness of the strawberries is happily married here to the rhubarb’s tartness. This is a refreshing dessert, light and not too sweet. Perfect to finish a summer meal in style! « Should We Add Fermented Foods to Our Diet?